Last edited by 525iT_Feen; 03-17-2005 at 10:26 AM. Hey thanks a lot for putting together the list of posts. Because I would never sell the only car I had without a sure fire deal thats already pending. You dont see people putting up adds saying, "Need house by next week or else I'll be homeless. Had home but sold it and now I need new one." 1995 Alpine White III M3 mods - APEXCONE/DDM 6000k HID's, Smoked DEPO Clear Corners, Smoked DEPO Tails, 3.5" HFM, 24# injectors, TRM chip, Seawood Engineering CAI, APEXCONE/DDM Cat-back, Raceland header. Not a DDM fanboy. Just cant beat the prices. How many E39s were sold in the US? I'm not sure, but there were ALOT. just gotta let you guys know. mad knowledge, i mean mad knowledge. awesome. wow olek could your links work any less? stop whining. I fixed it some. I suggest finding an automatic 540, and if you want to spend less find a 530. The difference- one is V8 and one is Inline6. The V8 is a monster while the 530 is just a very fun car. I'm very happy with my Auto 1999 528iT. Having the power of an 8cylinder would be nice but i'm happy with my economical v6. The service guy at an indepindent bmw place in tulsa said the v6 was alot less in the maintenance area compred to a v8. Plus my v6 gets much better gas milage compared to that of a v8. I think you mean I6. 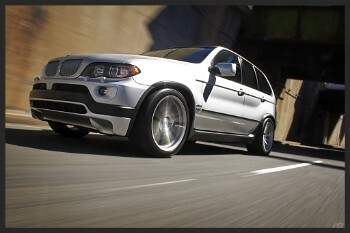 Inline 6 is what your BMW has. BMW never made a v6 engine as far as I know. You do get much better gas mileage then the v8s. right, so i have an inline six (is inline same as a straight six?) opposed to a v6.. good to know.. anyhow about milage i think the bmw service place mentioned better gas milage and I just assumed it too. Yes its the same thing as a straight six. As for the gas mileage, you assumed correctly. The i6's get much better gas mileage. What about the e34 M5 and 535i? They aren't listed here. Make the threads and I will add them. All I did was compile a database of all the threads already started. If I didn't find it then I didn't make a new one. thanks for the links but could you make it so we know what we are clicking on then finding out afterwards? I guess I could, but I honestly don't feel like it right now. Something for the pre 1988 5 series, even a link on recall info for the original 530i, and 528i. Great Advice on maintaining a E34 530 or 540 here.